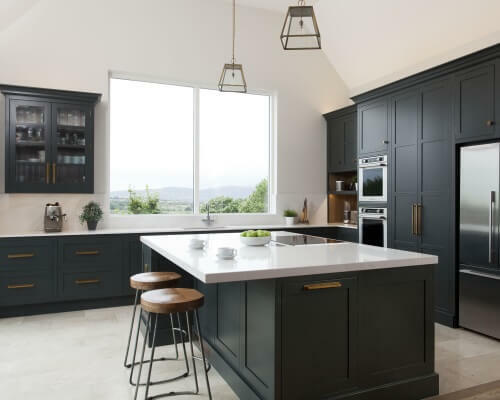 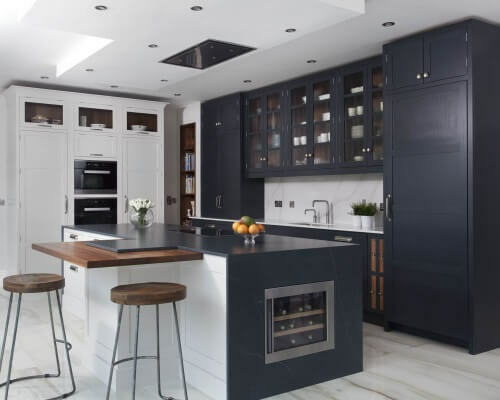 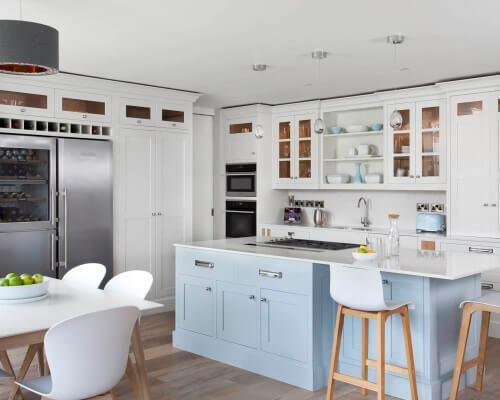 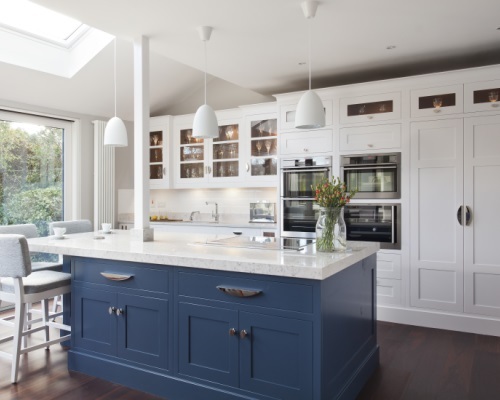 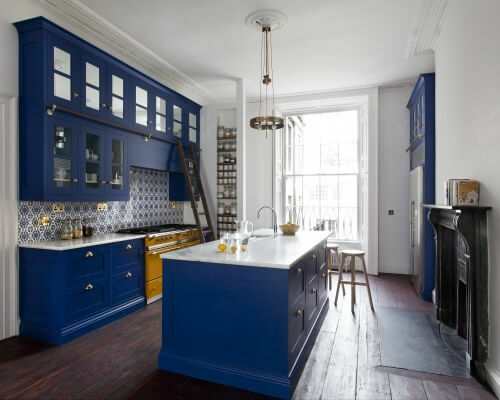 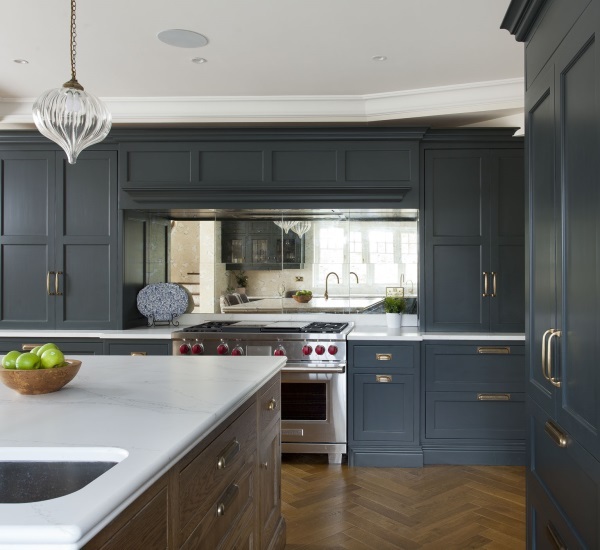 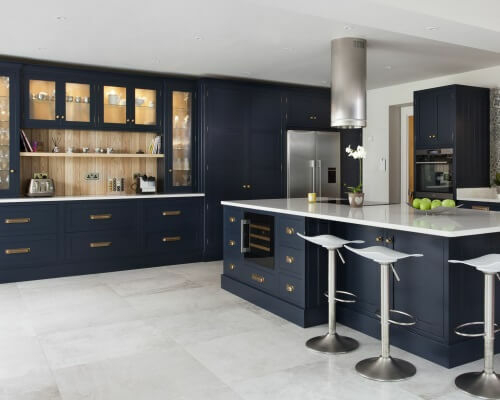 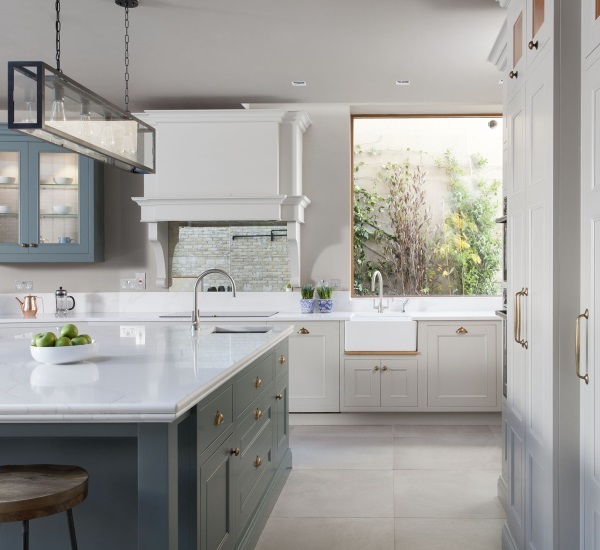 We were commissioned to create this beautiful kitchen, and all of the other cabinetry throughout the home, as part of a complete refurbishment of a house on the Howth Road in Clontarf. 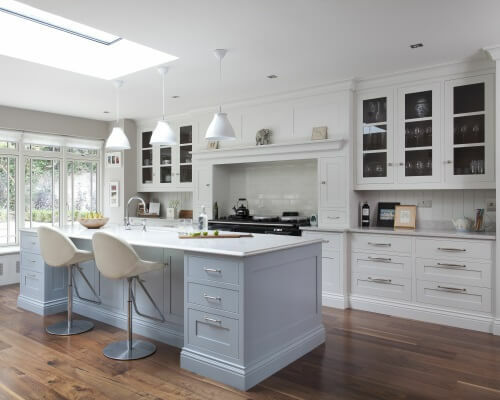 Working closely with our clients we devised a contemporary classic design. 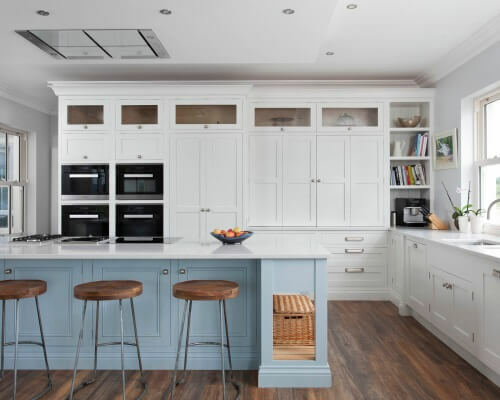 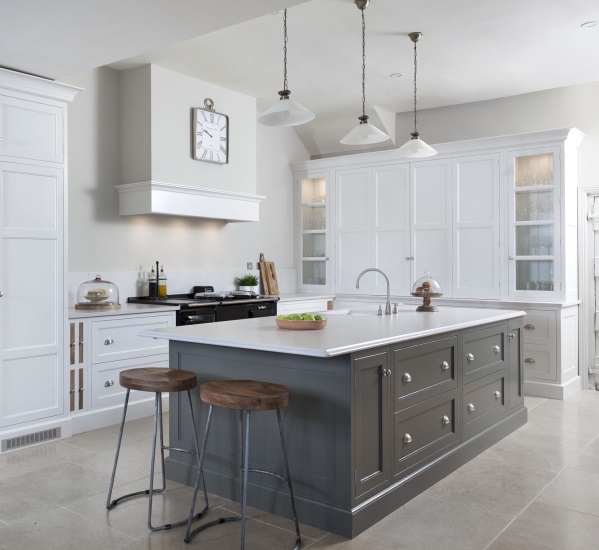 Solid oak internals were paired with handpainted cabinetry to create this fresh, timeless look. 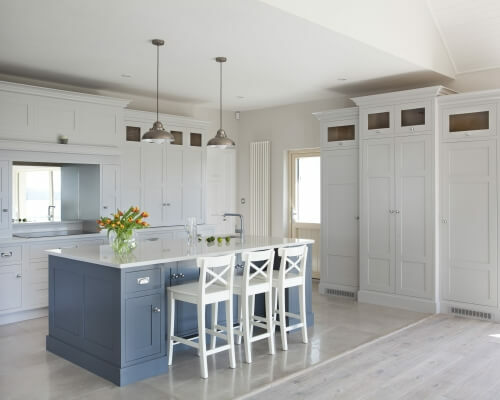 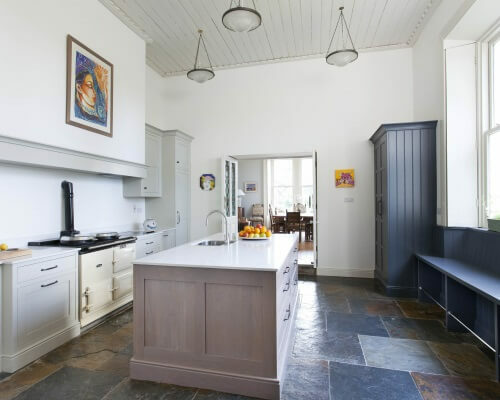 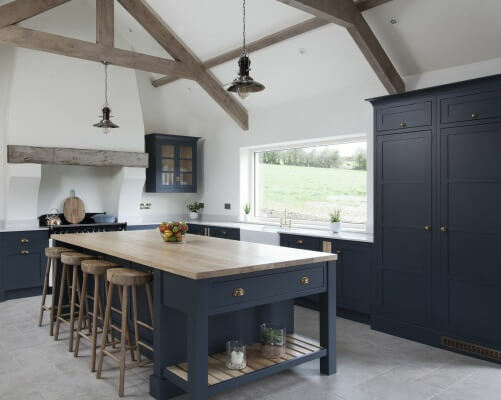 Farrow and Ball Strong White was used on the main kitchen with Parma Grey used on the island. 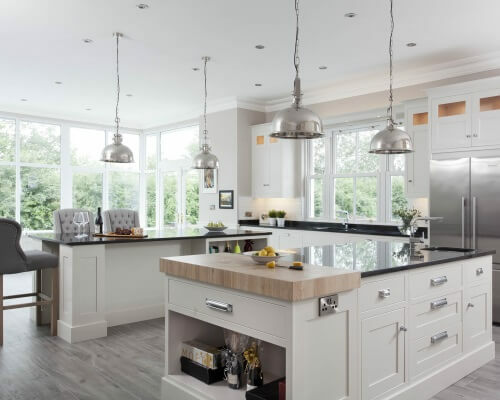 Worktops are 20mm Silestone Bianco Rivers.